If like most drivers you would like to comply with the law, then you will find that purchasing the required liability insurance and keeping your policy updated will help you to comply with new regulations as they come into effect. This article will discuss the financial responsibilities for damage caused by drivers when driving. The more you know about the minimum liability insurance Texas requirements, the better equipped you’ll be to make an informed decision. As a reminder, liability coverage actually pays for damage to the other person's property. It also covers medical expenses if an accident causes an injury. This is the type of coverage that is usually legally mandated by state law. You may also choose to purchase full coverage, or as required by your auto lender. What then is different about Texas Liability Requirements? You may have heard this corny little saying that goes “Don't mess with Texas!” Well the state of Texas has put in place some verification systems that compel a lot more drivers to buy required insurance coverage. You’re going to be surprised to find just how effective these verification systems are at tracking you. For example, Texas Sure has made enforcement all the more easier for the police. With this verification system the police are able to verify your coverage when they see you on the road. I wonder if you’ve realized that it even goes a step further. Some people who’ve had firsthand experience will tell you how when they’ve traded in their old cars so they could purchase new ones, they would switch their auto insurance to their new car and promptly drop their coverage on the trade in. Within a few weeks, they get a notice that they’re still the recorded owner of the old car, and the Texas Sure system alerts the authorities that they no longer had coverage. 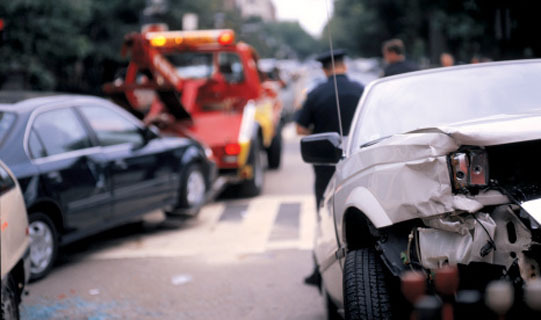 If for whatever reason paperwork isn’t filed promptly by the dealer, the last thing you want is to become responsible in case the car was involved in an accident before the records had been changed. However, when this happens, the notification letter will point you to a simple online form to get that cleared up. The bottom line is, in case you hadn’t noticed, is that you cannot hide the fact that you do not have required coverage on your car. So do make sure your minimum liability insurance Texas policy is up to date when you trade in your car. If you’re the kind of person that wants to comply with the law, then please be informed that you are also required to produce your proof of insurance card, in Texas, in order to get your license or registration renewed, or in order to pass the required vehicle inspection. If you get stopped by a police officer, the first thing they’ll usually ask you to do is to produce your driver's license and proof of insurance. Therefore, it is an absolute essential to have your minimum liability insurance Texas cover very much up to date.